We are a professional networking group that meets on the 2nd Tuesday evening of each month between 5:00-7:30pm for a networking mixer, and we also have a lunch workshop the 4th Tuesday of each month from 11:30-1:00 with different speakers on a wide range of topics. As a member, you will receive emails each Monday with updates. Both events provide opportunities for you to network and learn from many different backgrounds and markets. 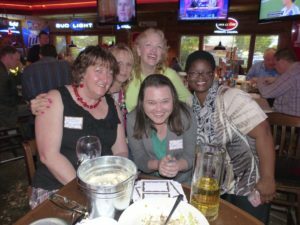 If you want to belong to a networking group that strives to provide a great opportunity for local professionals to network with other purpose-driven professionals like yourself, then this event is for you!